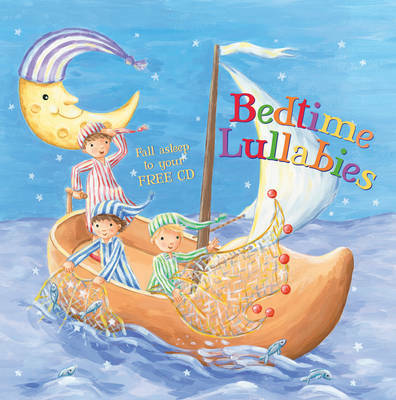 This delightful book and its accompanying CD feature four fun and soothing songs, including the ever-popular 'There Were Ten in the Bed' and 'Teddy Bear, Teddy Bear'. The lullabies range from the short and sweet 'Sleep, Baby, Sleep' to the longer and more elaborate 'Wynken, Blynken and Nod'. The repeated structure of the rhymes makes it easy to adjust their length as you read to small children, depending on how sleepy they are. It is perfect for lulling little ones to sleep. Sleep, baby, sleep, Your papa guards the sheep; Your mama shakes the dreamland tree And from it fall sweet dreams for thee, Sleep, baby, sleep. Sleep, baby, sleep, Down where the woodbines creep; Be always like the lamb so mild, A kind and sweet and gentle child, Sleep, baby, sleep.